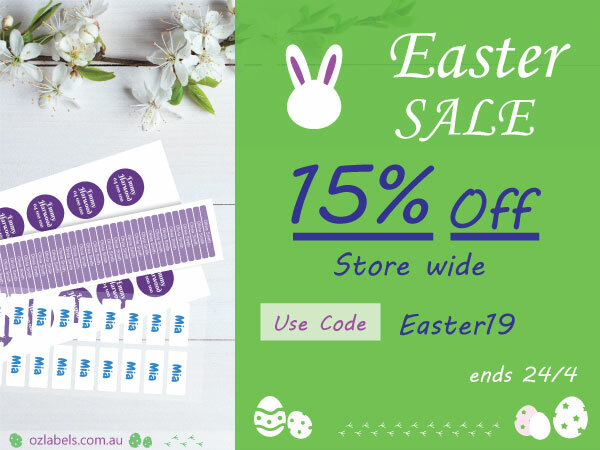 Hunt your Easter eggs in the Easter break, SAVE 15% on name labels and prepare the new school term. Huge save in this back-to-school season. Including various of stick on labels and clothing labels. Up to 270 labels for only $62. save you over 40%.